Democrats have a chance to set a bold agenda for dealing with global warming. When it comes to energy and environmental policy, it doesn’t take an oracle to predict what the Republican Party platform will look like. Donald Trump gave a preview last week in North Dakota, where he called for rolling back environmental regulations and the international climate agreement reached in Paris last year; for a resurrection of the Keystone XL pipeline and the coal industry; and for a heck of a lot more drilling for “very, very pure, sweet, beautiful oil.” Trump’s vision hewed to Republican orthodoxy, and there’s little reason to think the platform will include any real surprises. How the Democratic platform will address climate change and energy is a more interesting question. The 15-member drafting committee includes two climate experts: journalist and activist Bill McKibben, and Carol Browner, who directed the Office of Energy and Climate Change Policy in the Obama White House and, before that, the Environmental Protection Agency. Their presence on the committee, plus the fact the Bernie Sanders and Hillary Clinton have made fighting climate change a central point of their campaigns, means the platform will probably be more progressive on environmental issues than it was in 2012, when the Democrats emphasized an “all of the above” approach to energy that included expanded oil and gas drilling. There should be easy agreement on several climate and energy goals, including: that the Obama administration’s Clean Power Plan and the Paris agreement should be defended and implemented; that the government should provide support for a “just transition” in coal-producing regions impacted by the collapse of that industry, and protect miners’ health benefits and pensions; that the country should invest more in clean energy and infrastructure, and do more for minority communities that are disproportionately impacted by pollution. But there are still real differences within the party about how to kick the fossil-fuel habit, and how quickly. McKibben and Browner illustrate some of this tension. McKibben is a leader of the “keep it in the ground” movement, which advocates for cutting off the supply of fossil fuels and ending investment in related infrastructure, like the Keystone XL pipeline. Browner, on the other hand, served as “climate czar” for an administration that has focused almost exclusively on demand-side policies, like fuel-efficiency standards and clean-energy investments. Should hydraulic fracturing be more strictly regulated or banned altogether? A number of major environmental and health groups, citing risks to water sources and the climate implications of methane emissions, are pushing the party to endorse a full ban. McKibben supports a ban, as does Bernie Sanders, who has been particularly vocal about fracking while campaigning in California. “I would hope the Democratic Party makes it clear that it has the guts to stand up to the fossil fuel industry and tell them that their short-term profits are not more important than the health of our children or the future of our planet,” Sanders said at a press conference on Wednesday, referring to a fracking ban. A nationwide ban would require action from Congress, but a future president could unilaterally bar the practice on public lands, and direct the EPA to more aggressively assert its oversight authority. But many Democratic insiders have ties to the natural-gas industry, and argue that fracking can be done safely with proper oversight. Browner, who served as Obama’s “climate czar” while the administration was promoting natural gas, has called it a “hugely important fuel.” She’s also said the EPA should have more regulatory authority and that there should be more transparency about the chemicals used in the drilling process. Clinton has said she would support stricter rules, but has not endorsed a wholesale ban. 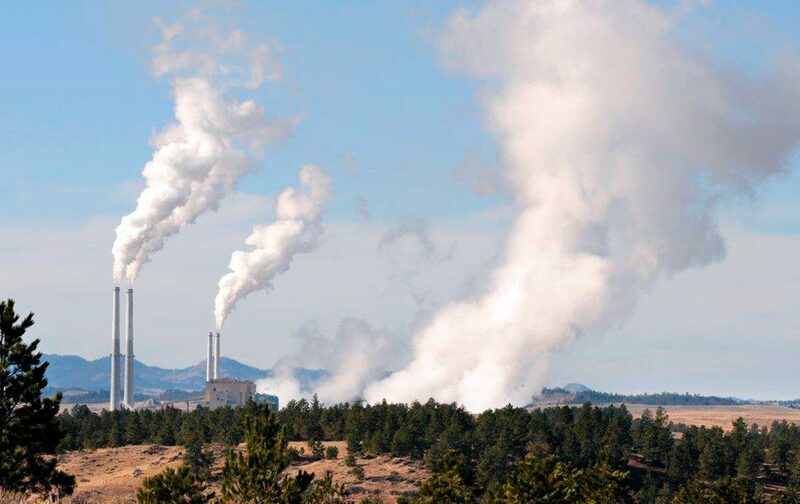 Another priority for climate groups is ending fossil-fuel production on federally owned lands, in areas like Wyoming’s Powder River Basin and offshore. Their argument is based on the idea that most of the world’s coal reserves and a significant portion of oil and gas stocks have to stay in the ground to keep global warming below the 2 degree Celsius threshold. “These public lands are one of the easiest places for us to control the flow of carbon into the atmosphere,” McKibben explained to reporters last year, after Sanders and Senator Jeff Merkley introduced a bill to end federal leases for coal, oil, gas, and tar-sands production. The Obama administration has already put a moratorium on the long-troubled federal coal-leasing program, but a comprehensive ban that includes natural-gas production and offshore drilling will undoubtedly meet some resistance within the ranks. Clinton initially called the end of fossil-fuel development on public lands “a done deal,” but later she backtracked and said she would “look into” a moratorium. Whether the party will endorse a form of carbon pricing, like a tax or a cap-and-trade system, is an open question. The Democrats’ 2008 platform called for cap-and-trade legislation, but economists, many environmental groups, and even some corporations now favor a tax on fossil fuels, so that their price would reflect at least some of the external costs of burning them. Clinton has consistently sidestepped the question of a carbon tax, which Bernie Sanders supports. It’s worth noting that the debate about carbon pricing is much more complicated than whether to tax or not. One big question is where the revenue from a hypothetical carbon tax would go. Should it be used to reduce other tariffs on energy companies? Directly to citizens, particularly those impacted by environmental degradation or potential increases in the cost of energy? Or be invested in renewable-energy projects? Climate groups want the Democratic platform to decisively close the “all of the above” chapter by calling for a full transition to renewable energy. Some are asking the party to endorse a specific timeline for doing so. One benchmark that’s been laid out by NextGen Climate Action, the group funded by the activist donor Tom Steyer, is for half of the country’s energy to come from zero-carbon sources by the year 2030, and 100 percent by 2050. There’s an ongoing debate about what should be down with the country’s fleet of nuclear power plants, which are aging and struggling to compete with cheap natural gas. About 60 percent of the country’s carbon-free power currently comes from nuclear plants, and there’s some concern that allowing the facilities to close will encourage more natural gas and coal consumption. Citing the need for new zero-carbon sources of power, Energy Secretary Ernest Moniz recently called for new investment in nuclear energy. Hillary Clinton wants to keep the plants running, too. On the other hand, Bernie Sanders and some environmental groups, including the Sierra Club and Greenpeace, argue that damage from uranium mining, and the risk of meltdowns and contamination from waste, outweigh the climate benefits of nuclear energy. Sanders has called for a gradual phasing out of nuclear, by denying relicensing applications to individual plants. Though trade will be its own topic of debate for the drafting committee, it’s connected to environmental policy. There’s been plenty of criticism of the Trans-Pacific Partnership from the Democratic candidates, partly on account of the implications for environmental regulations if corporations are allowed to challenge them in special tribunals. When Clinton explained her opposition to the TPP last year, she said she wanted trade policy that “supports, rather than undermines, our policies to reduce emissions at home and encourage climate action abroad.” But neither candidate has detailed a positive agenda for international trade that promotes climate action—one that focuses on opening markets for renewables, for instance, or that eliminates fossil-fuel subsidies. This is not an exhaustive list; there are more radical proposals, like halting investment in all new fossil-fuel infrastructure, and other environmental issues, including conservation and pollution, the drafting committee could consider. It’s also important to remember that party platforms are aspirational, not binding. They don’t shift the political wind, though they can point the direction it’s blowing. An endorsement of a carbon tax might mean nothing, practically speaking, in the face of a Republican-controlled Congress; still, it would move the goal posts.